Cloe earned her Bachelor of Science in Biology from Pacific University of Oregon in 2012. In preparation for applying to Physician Assistant School, Cloe worked as a phlebotomist and lab assistant for a busy OB/GYN practice in Portland, Oregon. Cloe continued her education at the Pacific University of Oregon and earned her Master of Science in Physician Assistant Studies in August 2017. Cloe was born and raised in rural Montana and later moved to Portland to attend college. She recently moved to Reno with her two dogs to be closer to family. 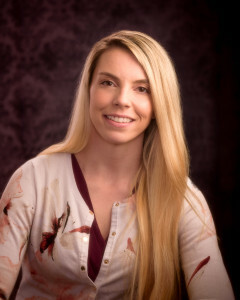 She joined the Nevada Advanced Pain Specialists team in December 2017. In her free time, Cloe enjoys spending time with her sister and taking her two dogs to the park. She also enjoys dancing, hiking, and camping.